10G Transceiver XENPAK CWDM SMF 1470 nm - 1610 nm, Distance 40 km. 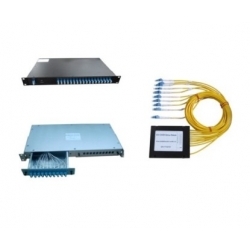 SFP 8 Gbps SFP, 850 nm, Distance 300 m.
DWDM SFP+ 10 Gbps, 1528.77 nm - 1563.86 nm for DWDM, Distance 40 km. กล่อง Ritto (E206) ฝาทึบ กว้าง(200) x สูง(200) x ลึก(100) มม. 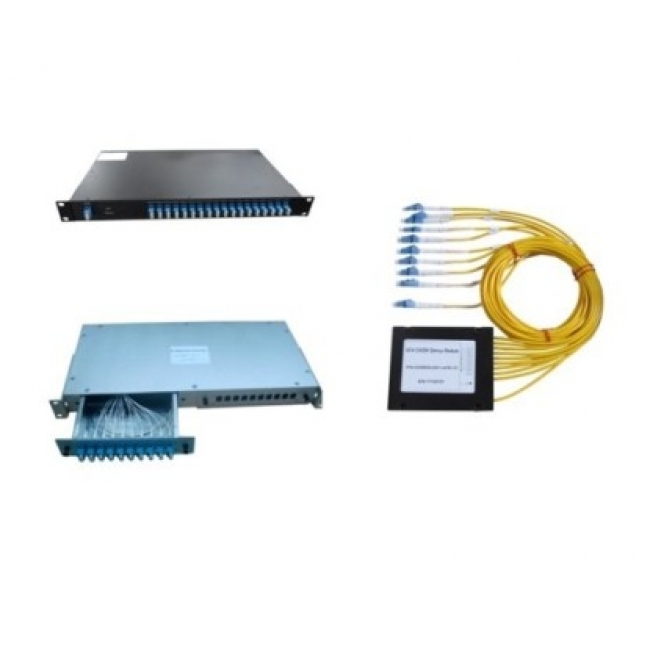 Teosco CWDM Multiplexers multiplex and demultiplex operate for 2, 4, 8, 16, 18 optical CWDM wavelength channels using high quality filters. The modules fully support ITU G.694.2 and G.695 and are the ideal way to add more capacity to an existing fiber network. Furthermore, the modules are prepared for a DWDM upgrade path to add an additional 18 DWDM channels. The modules are based on a standard LGX or 19”1U Chassis building practice and offer a very easy installation and connection process. Two modules can be mounted into a 19” or 23” bracket. Industry practice wavelength color coding allows easy set-up and installation resulting in a true Plug and Play experience.